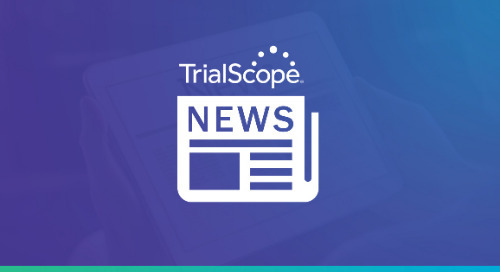 JERSEY CITY, NJ, March 25, 2019 – TrialScope, the global leader in clinical trial transparency, compliance and patient engagement solutions, today announced that its Chief Strategy Officer, Thomas Wicks, will speak at the One Year On: GDPR and its Implications for Data Disclosure and Data Sharing event. The meeting, scheduled for May 13, will be hosted by Vivli in Tokyo, and will explore a variety of topics related to clinical trial data, including: clinical trial disclosure, GDPR, data sharing, regulations and more. Wicks’ presentation, “Spotlight on Trial Disclosure Compliance: 2019 Global Regulation Review,” is scheduled for May 13. The session will focus on the growing complexity of global trial disclosure regulations and evolving transparency trends. The afternoon session is full, but slots are now open for the just-scheduled morning session. For additional information or to register for the May 13 event, contact TrialScope.